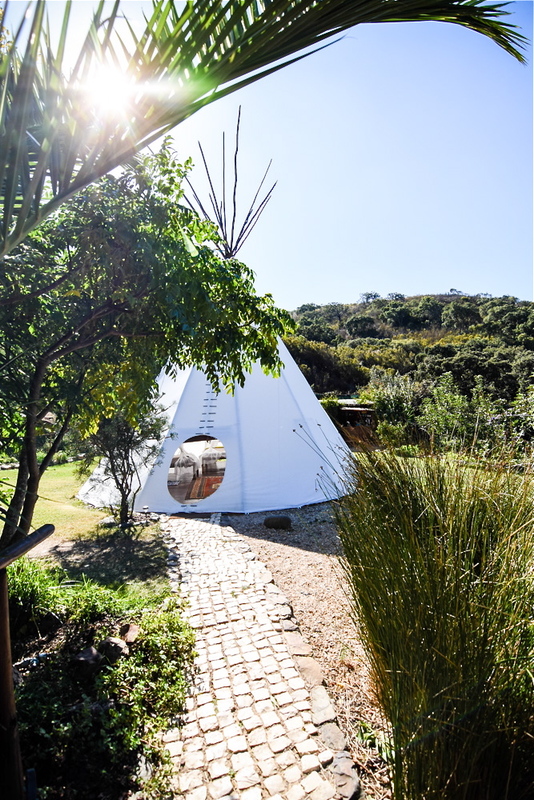 Large Tipi — Tipi Valley is an ecological surf and yoga retreat in the western Algarve, Portugal. 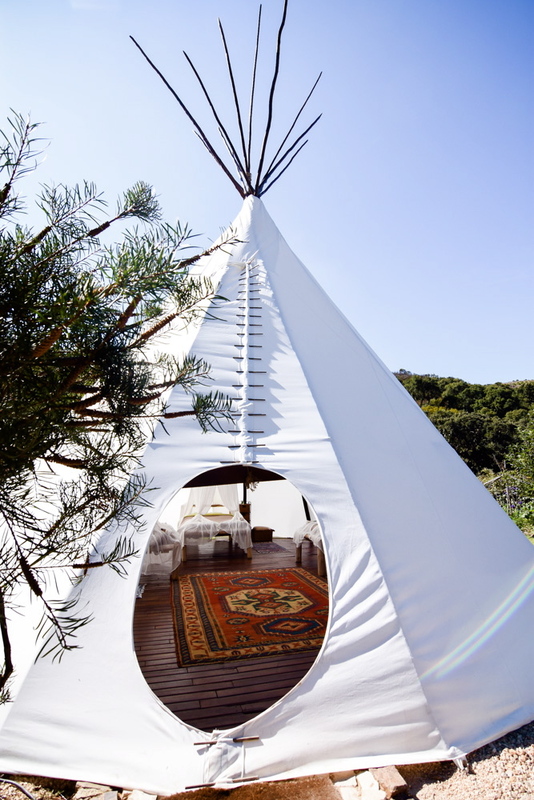 Built from 12-metre eucalyptus poles cut from our property, the 8-metre diameter Native Indian tipi tent is the epicentre of our camp. A wooden floating floor keeps the occupants off the ground and the symmetry of the tent’s form makes for a natural, non-imposing monument. The tent can comfortably sleep three (3) people with ample space. It can be rented as a private dwelling for a party of three (3) or more, or guests can share it with other guests already staying at the retreat. Located in the heart of the camp, close to the Moroccan Lounge. 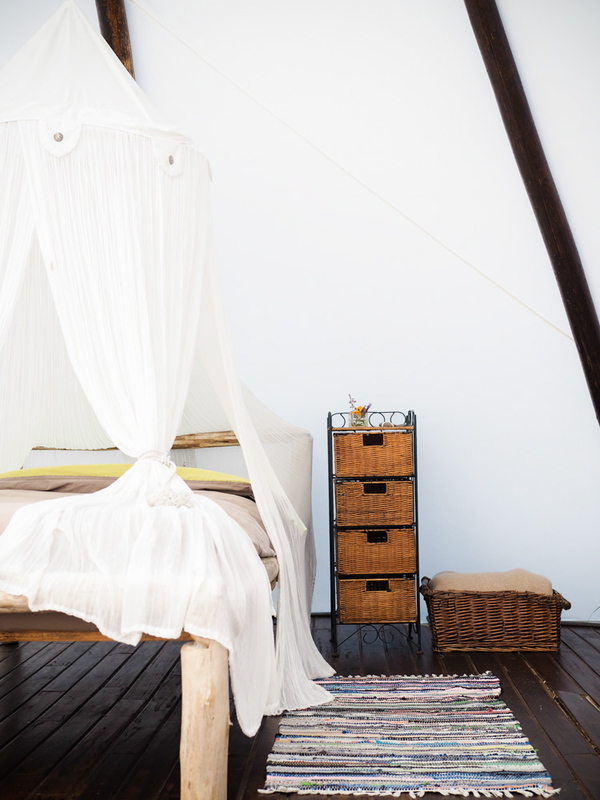 The sounds of nature and the ocean can be heard through the natural cotton canvas walls. 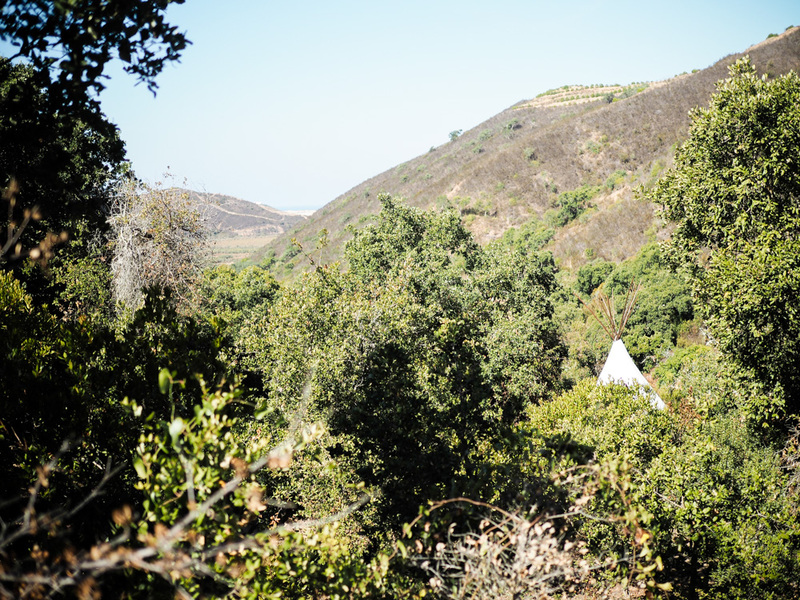 The real beauty of tipi living lies in being able to live much closer to nature than in more conventional dwellings. The ambience at night is simply spell-binding as the tent glows like a giant lantern, emitting a soft light across the valley.